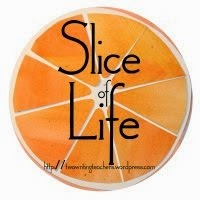 I'm slicing with the Two Writing Teachers community for Day Twenty of Thirty-One of the Slice of Life Challenge in March. Thank you Stacey, Tara, Anna, Betsy, Dana, Kathleen, Beth, and Deb. A favorite for younger students. Special today! I just discovered that Catherine of Reading To The Core is also sharing a list of read alouds. Be sure to visit her too! I read many books, and recently have been envious of some terrific ones published that I would love to have read aloud to my class. Many of you are sharing what they are, and I've read most of them, and know they are going to be fabulous read alouds. Unless it’s a picture book, or an easy chapter book that I read to my granddaughters, I no longer have a class for which to choose a great book. (There have been a few times through the years that a student has chosen/recommended one.) And reading aloud to a group brings much value to the community. It’s a shared conversation inviting many opinions, a way to get to know one another better. It allows me as the teacher to share content from which students will benefit. It can be a mentor text for writing. It adds to our shared history. Here is one article from Brightly that shows some benefits of reading aloud to older kids. I thought it would be fun, and hopefully helpful to some of you, to share titles of a few read alouds I’ve used with my gifted middle-school-aged students through the years. Some are relatively recent, but some old, yet I think still would be good to experience together. I'm also adding a few books from the past for younger students, ones I've suggested to other teachers. I imagine there were more, but I don't remember them. I've read and collected numerous short stories for that kind of book group, either regular, or what I called the scary short story group at Halloween. If you'd like titles, I'm happy to share. I was not expecting a list of so many books I have not read! Thank you for sharing new book discoveries for me to check out. Reading aloud to ALL students is so important! It is sad that so many believe picture books and read alouds are only for the little kids. I agree with you whole-heartedly about the value of read aloud and picture books. I was so excited when I saw Dandelion Wine on your list. 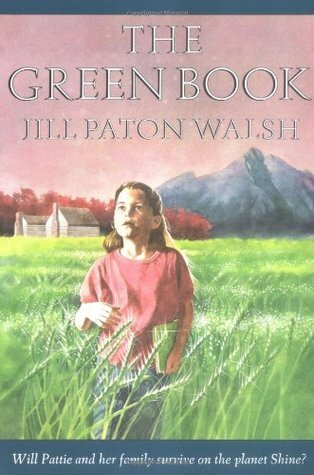 It's one of my all-time favorites, though not one I've read aloud-- considering I teach first grade, that's probably a good thing! I can't wait to look into some of these other titles as well. Thanks for sharing! There were so many books that are new to me on this list! I'm going to jot them down as I have many more years of reading aloud to my kids... Thanks for this! Read alouds are the best part of the day! Your list has many favorites, Linda, as well as unfamiliar ones. Thanks for sharing! I am always on the hunt for new books, and there are so many that you listed that are new to me. Thank you! Great recommendations, Linda! Read aloud is one of my favorite times of the day. It really draws us together as a reading community. New titles and authors to explore. Cynthia Rylant's The Van Gogh Cafe made me think of her An Angel for Solomon Singer - one of my favorite read aloud books. Read aloud certainly creates a shared experience which goes a long way to create a community!! I can't wait to check out some of the books on your list. Thank you! We love read-alouds, too. Thank you for your lists. I will definitely be looking into the ones that we've not read yet. Thanks so much for your list! The one thing I probably miss the most about not being in the classroom is the community created through read aloud. Kids gathered on the floor, me reading, all of us sharing our thinking. Wow Linda- this is a really varied list... and there are quite a few I haven't read and now want to! Reading aloud to all ages is so important. Unfortunately, the higher the grade, less reading aloud is done. Great list of titles, many new to me too. The Wind in the Willows! Yes! This year, I've been exploring how to get in as much read aloud time as I can. Thanks for sharing this list. Yes, so many books I haven't read myself--and certainly would never have thought to read aloud! I tend to always be off to the next new thing and I forget about older titles that have such power. Thanks for the reminder and suggestions. I always enjoyed reading aloud to my students and they always seemed to enjoy it. I learned that sixth grade students enjoyed being read to just as much as younger students especially if it was a book that grabbed hold of their interest. Great list of books,. I love the personal lists that people make and we are wise to stop and consider how these titles might work in our own classrooms. Thanks for sharing your list Linda! I look forward to it growing as you begin reading chapter books to your granddaughters! How can I not know any of the books you listed for younger children? Yikes! There are so many fabulous books for read-aloud. I love, love, love read-aloud. I loved this line, too: "It’s a shared conversation inviting many opinions, a way to get to know one another better." I totally read aloud to myself sometimes--because some things just NEED to be heard aloud! Thanks for this list! Have you read The Islander by Cynthia Rylant. Another favorite by her. I love reading Van Gogh Cafe. My students each wrote another chapter after we finished. They wanted it to keep going. Such a clever, magical book. I read Catherine's post. Now yours. So many books not enough time to get them all in. Thank you for these titles. Some I know, others I'm not familiar with. I'm finishing Pax now. What an amazing read. I have very little time left with my kiddos this year so I'm afraid I can't share it. That's what makes me so sad. When I don't have time for all I wan t read. Thanks everyone, I've been so busy today, but hope you've found a book or two that will be a good read aloud for you and your class. Julianne, I'm just finishing Pax now too. It would be a very special one to read together with a class! You have a great list, Linda! So many to love, and SUCH an important time of the day. I would love to read a novel in verse to a class. Home of the Brave, the Crossover, Brown Girl Dreaming...ahhh. I did read parts of Inside Out And Back Again to a small poetry group, Melanie, but never read one when I was in the classroom. I recently read Home of The Brave & loved it. Your others are great, too. I always love good read-aloud suggestions! Thank you for sharing these titles. Such a great list, Linda! My favorite read-aloud has been One for the Murphys last year. It had tough high school boys crying in class! Love, love, love the power of read-alouds, especially for kids who don't think they are readers! Thanks Lori and Jennifer. One for The Murphys is awesome, agreed. I was out of the classroom by the time it came out. Thank you, Linda, for sharing your enthusiasm for read alouds. I started a Read Aloud Library at the JHS and encouraged the SHS English teachers to read aloud to their students. Great fun and wonderful memories called up for me through your post. I hope that they followed your advice, Carol. It seemed very important to me when I taught. Love your list of read alouds. I have Wind in the Willows (which I've never read) in a beautiful old edition I picked up at a book sale. Oh, I'm longing for the slow days of summer and more reading time! Terrific list, Linda! Reading aloud is so great. We enjoyed The Anybodies by N.E. Bode and The Gorillas of Gill Park by Amy Gordon. Thanks for the titles, Tabatha, both new to me! So many books. . .